Goat Man stands a little over 6 3/4 inches tall and features a mixture of new and reused parts. His boots, waist, torso, upper arms, and hands are all reused while his thighs, forearms, and head are new pieces. Due to the amount of reuse on him and his design, he really has a style that is reminescent of the first two years of the vintage Masters of the Universe toyline. Goat Man's articulation is pretty standard with no real surprises: hinged ankles with minor lateral rocking, swivel shins, hinged knees, swivel thighs, swivel/hinge hips, a swivel waist, a hinged abodmen, swivel/ hinge shoulders, swivel biceps, hinged elbows, swivel wrists, and a ball jointed head. The only problem I have is that Goat Man's right ankle is pretty loose, so be careful displaying him. I think the first thing that stands out about Goat Man is the headsculpt. It is excellent and really creepy. Goat Man might be a little strange looking to a non MOTU fan because he has Clawful syndrome: A monster-like head with a fairly normal human body. Goat Man's head is a bit of a mystery. Is it his actual head? Is he wearing a helmet or some sort of Destro-like mask that captures his expressions? Who knows? While the goat aspect of the character is definitely due to his horns, I almost get more of a devilish or demonic vibe from him. Is this a guy who has engaged in (or perhaps been victim to ) some sorcery to have his head altered? Perhaps the designers of the original character had been going for a minotaur like appearance. Whatever the case, the Four Horsemen have brilliantly captured this character. His face and horns are terrifying and the newly sculpted pieces like his leather thigh straps and newly sculpted wrist guards just help him to pop. I like his armor; it's got some nice detail and manages to look pretty good on the figure. It might be a little bulky, but not to any extent that it bothers me. Goat Man has a pretty great paint scheme. I love his red and purple look with black highlights. Everything is pretty neat and clean on this guy, especially the little details like his teeth and little red pupils. There are some almost unnoticeable metallic highlights in a few places, too, such as the clasps on his boots and the details on his wrist bracers. He's also got some nice dark drybrushing on his armor and head that gives him a much more sophisticated appearance. I would be willing to go on record as saying that Goat Man has some of the best accessories in the entire line. While he only comes with two (and of course his removable armor), they are both quite fantastic with really amazing sculpts and some nice paintwork. First up is his hammer; it's a massive warhammer that Goat Man wields with one hand because he's such a beast. This think is beautifully crafted with a truly wicked looking head, lots of rivets, and what looks like a leather wrapped handle. The metallic paint of the hammer has a great wash over it that makes it look worn and rugged while the handle has a dark brown paint app to represent the handle. The handle is a tad soft, but not to any degree as to be problematic. This thing is definitely one of the best MOTUC accessories in quite awhile. Goat Man's second accessory is an accessory that's not really for him, but better suited for Stratos. It's the Emerald Staff of Avion from the 1983 minicomic "The Siege of Avion," a magical artifact that gives the Avions the ability to fly. There was another staff of Avion that came with Icer, but that one was based on an artifact that appeared in the Filmation cartoon series and had nothing to do with the Avions. The Emerald Staff of Avion is a beautifully sculpted accessory that has a nice handle which is convenient because it lets Stratos actually hold the accessory. Painted with green and gold paint apps, the headpiece of the staff and the four orbs surrounding it are cast in a translucent green plastic. It's gorgeous and looks quite impressive! Definitely one of the coolest accessories in the line to date, as well. I love receiving mystical, magical pieces like this! I think Goat Man is definitely the best of the traveling convention exclusive figures so far. Temple of Darkness Sorceress was kind of a cool repaint and Strobo was a great character with a few cool new parts, but Goat Man is as satisfying as any regular monthly figure in this line. Goat Man's mixture of cool accessories, fantastic newly sculpted parts, and an appearance that really captures of the spirit of the early ears of the vintage line makes him quite a success. He just looks right at home among Skeletor's Evil Warriors; if I didn't know better, I'd really believe that he had appeared in the vintage line. Even though he's a guy with a goat-like head and a pretty standard body, Goat Man manages to jump out at you as a truly evil Evil Warrior. Personally, I think I'm going to use him as some random evil Eternian man who tried to make some sort of pact with an evil spirit. Rather than gaining the power he wanted, Goat Man's body became stronger but his appearance transformed into a rather terrifying beast that was shunned by everyone. I'm thinking of him being a fearsome but also pathetic figure, kind of like the Gerasene Demoniac. Skeletor uses the cuffs on Goat Man's wrists (which are some magical artifact) to keep the possessed man in line. I'm going to give Goat Man a Great and a 1/2 because I really like him, he's well done, and he promotes creativity. Way to go, Goat man. Currently Goat Man is sold out at Big Bad Toy Store, so you just might have to wait for some of the yearly conventions to start up to fine one again.  Why not read our other reviews while you're waiting? 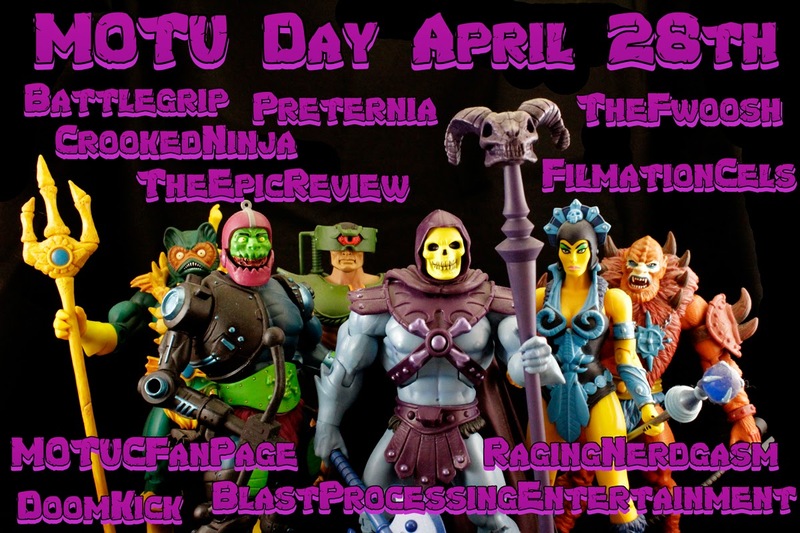 Also, check out all of the other MOTU day events happening at the websites below!